Your oral health has a larger impact on your entire body. A missing tooth can affect your bite, speech and eating choices. As you rely more on your remaining teeth, you increase the chance they will wear out prematurely, or be damaged or lost. You may also experience headaches and/or jaw pain. The natural consequence of missing teeth is the degradation of your physical health and appearance– the jaw literally melts away. Generally, people will lose 25% of their supporting jaw bone structure within the first year after tooth loss. Consequently, dental implants are more easily placed when teeth are first extracted because bone replacement becomes more complex as time passes. And here’s the good news: implants act just like your natural teeth. Rest assured that implants preserve your bone structure, oral health and appearance. Your dentist and Dr. Benson will provide you with options to help you make an informed decision concerning tooth replacement. A good candidate for implants is anyone missing one or more teeth, or who is unhappy with their dentures. Age is not a factor. Please note that smoking, diseases such as diabetes, and radiation therapy to the area, have been shown to lower the success rate of implant placement. A cat scan of your jaw will be taken to evaluate whether the missing teeth site can accommodate implants. Detailed x-rays may also be required to determine if other tests or procedures are needed to place implants properly. 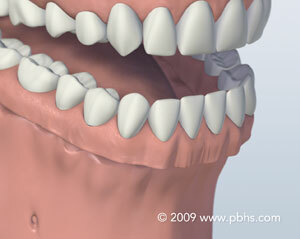 The most common solution for people missing all teeth (in one or both jaws) is the placement of complete dentures. Some people adapt well to dentures, however, others can find them extremely uncomfortable, due to differences in jaw size and shape. 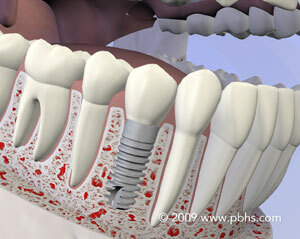 Dental implants are the most comfortable and permanent solution to replacing a set of teeth. They form a strong foundation and keep the jaw healthy and durable. Implants can either support individual replacement teeth or secure specialized dentures. 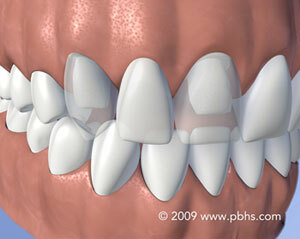 With dental implants, healthy teeth are not damaged and the prosthesis can last a lifetime, unlike bridges. 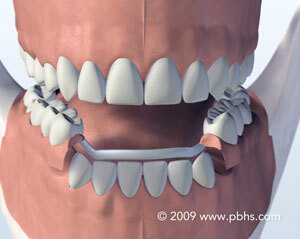 Implant-supported replacement teeth are more attractive, stable, and comfortable for patients. Why Dental Implants Over More Traditional Types Of Restorations? A dental bridge can sacrifice the structure of surrounding healthy teeth in order to bridge the space of the missing tooth/teeth. Removing a denture or a “partial” at night may be inconvenient. 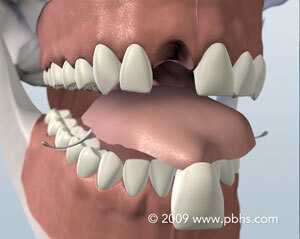 Dentures that slip can be uncomfortable and rather embarrassing.